Bayer Leverkusen has signed a kit deal with “Jako” and the kit deal was officially announced today, Friday, 05 February 2016 along with the the official home kit for Bayer Leverkusen for next season 2016-17. Jako is a germany brand and they will be replacing Adidas as Bayer Leverkusen’s official kit suppliers from the next season. More details about contract and the official home kit are listed below. Jako will be paying around €2.2 million a year to Leverkusen in initial 2 year deal and both parties has an option to extend the deal for further one year. This is the first high profile kit deal signed by Jako and we might be seeing them alot in coming years. 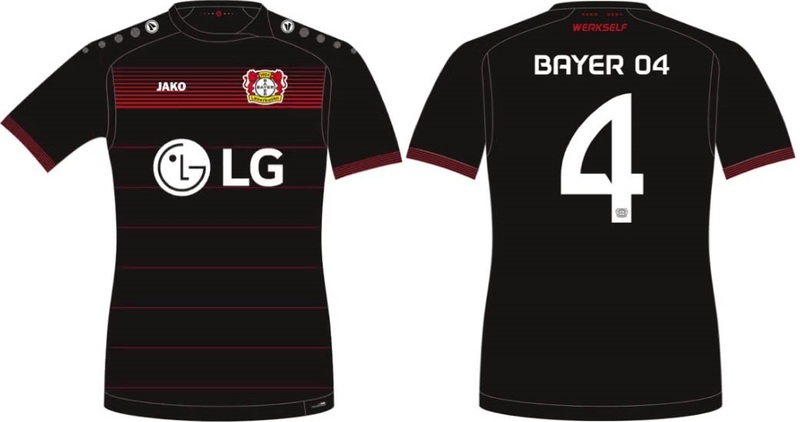 This is the new home kit for Leverkusen for the next season which comes in traditional colours but redical new design featuring hoop linnes and a gradient design just below the collar underneath club and Jako logos. The major feature is the collar which comes in unique design. Jako produced the home kit with their trademark design pasted on the shoulder area and the text “Werkself” at the back of the collar area. 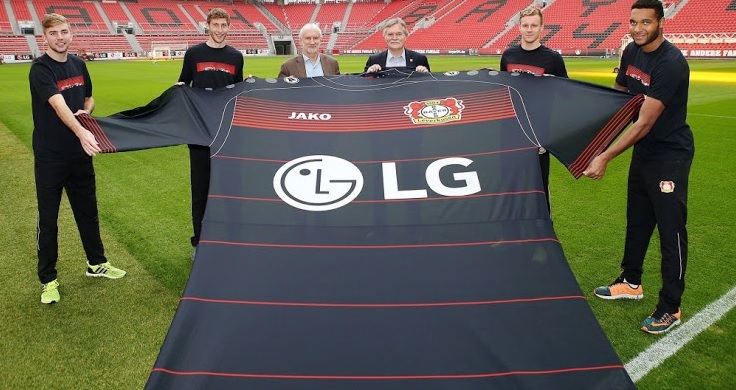 All in all its a pretty sweet design but Leverkusen fans might have to get use to it before they embrace it. Jako will be released two more kits (away and alternative) in the summer of 2016 and we will have official released pictures of both kits once they are released.